Today’s ride: The SMECO 75 is a unique ride. The distance is unusual, since it falls between a Metric Century and and English Century. This is a very well supported ride. The countryside in St. Mary’s and Charles Counties is very scenic, and the ride is in Amish Country, so riders will occasionally share their route with horse-drawn carriages. The rest stops are frequent and relatively close together. The Experience: Today we started early again, and while getting up in the dark of early morning can be tough, the early start has advantages. June can get very hot and humid, and starting early meant we got moving and rode a few hours before the heat of the day set in. We set out with our minds on our good friend and riding companion Russ Altemose, who has been unable to share our rides while he battles cancer. John Koehnlein, Carol Linden, Ron Tripp, Eric Sanne and I set out in the early morning chill, but the cool temperature didn’t last long as the sun angle changed. The roads were often shaded, and we held together at a comfortable pace. With the rest stops close together and good conversation, the ride seemed to speed by. 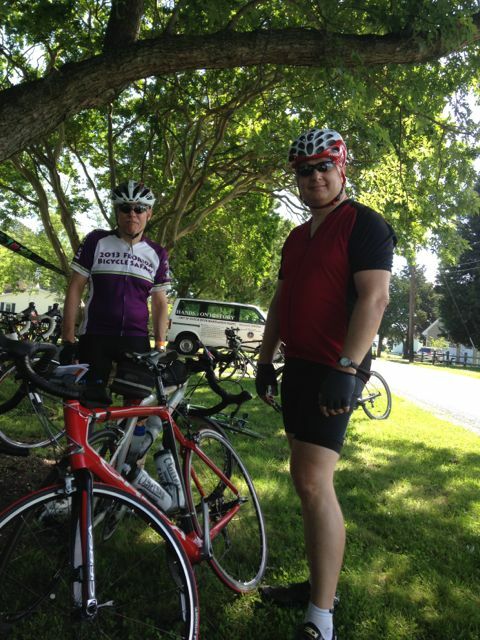 This ride is in rolling terrain, and as usual, John was strong in the climbs. 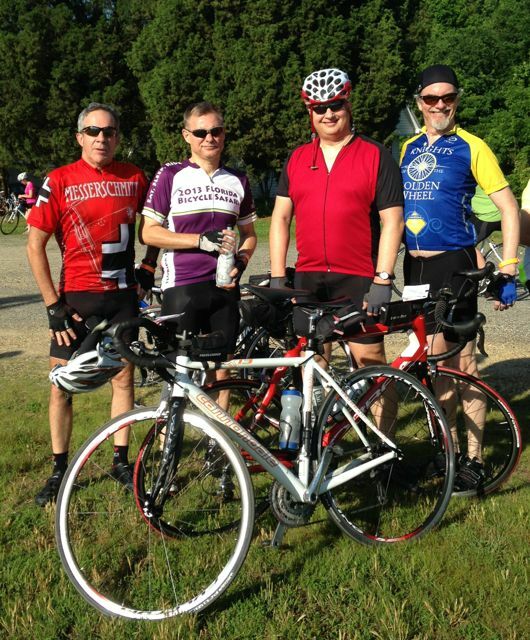 I felt good as well, and before the day got hot, our group found ourselves past the midway point of the ride. Ron spent a lot of time setting the pace on this ride. We held together for most of the ride, with the exception of the hilly sections that stretched us out, but we collected ourselves and rode together for most of the ride. We were all feeling good at the last rest stop, and with ten miles to go, we decided to finish strong. John jumped out of the pack first, and while I went with him, I found his climbing style hard to follow. Caught between john’s power and the rest of the group, I set a strong pace of my own and concentrated on overtaking other riders. I finished just after John, followed a little later by Eric, who started in pursuit of John and I, but gave us too much of a lead to make the catch. 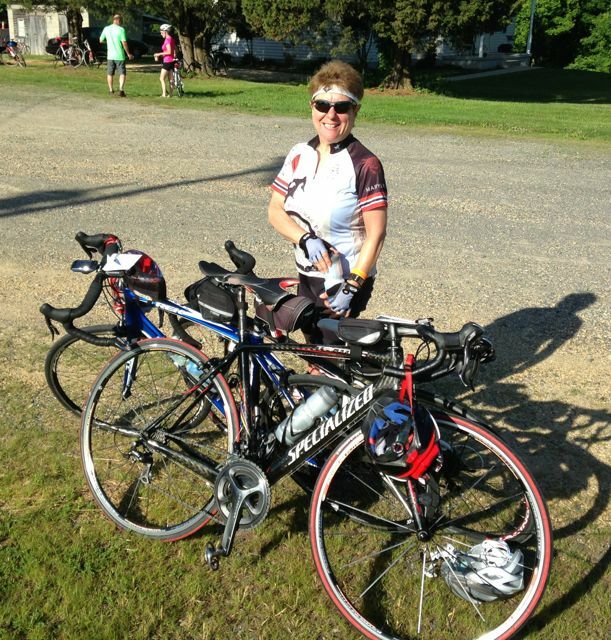 Ron and Carol both rode home strong in due course, and another successful ride entered the books. This year’s ride wasn’t as hot as the year before, and we were all glad of it. Tom Roman, who had come to ride with another friend, was waiting for us with a smile, a little good natured teasing and a beer. A toast to Russ called the ride to a successful close. Selections from my mental iPod during the ride: “Soothe Me” by Sam & Dave, “Manhattan” by Eric Johnson and “Please Don’t Tell Her” by Big Head Todd and the Monsters. Statistics: 75.05 Miles ridden at a steady pace, on a nearly perfect day in June. This year’s string of weekend events with good weather continues! Carol at the first rest stop. Not John, Paul, George and Ringo, but John, Ron, Tom and Eric. Ron and I at the rest stop at Colton Point. 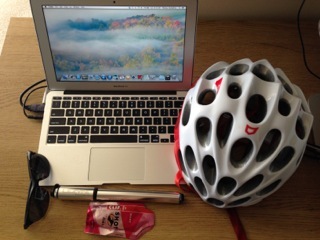 This entry was posted in Cycling on June 7, 2014 by kitefencer.